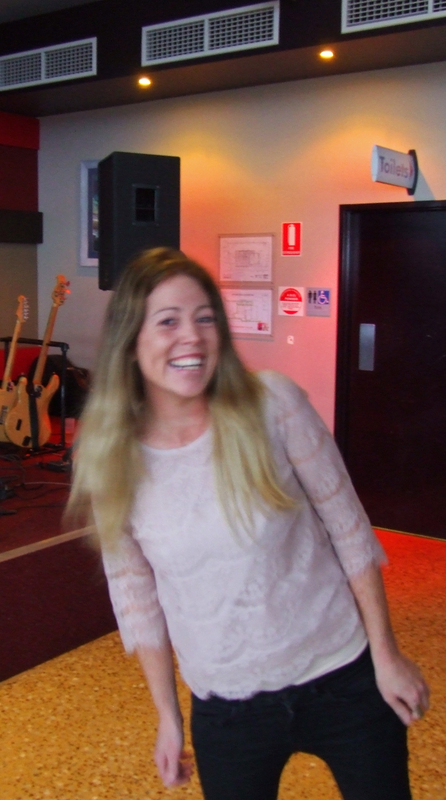 For many years touring with Dirty Blonde, on and off throughout Western Australia, the gentlemen and I have had opportunity to eat at an enormous assortment of regional pubs and restaurants. Life on the road involves a keen appreciation of monotony and thusly, good food before we tear into a gig is always a highlight, giving us time to centre ourselves before a performance and to see what exactly the venue is trying to get across to its customers. We would always joke that we should write a monthly magazine and score the restaurants as we pass through. This would allow the public at large some knowledge of where they should and shouldn’t spend their food budget when on holiday, keep the chefs, managers, owners and staff on their toes, and finally feed our own esoteric amusement. Now, being solo I don’t get to discuss with my fellow band-mates the calibre of food and have only limited stomach to try all the food on a menu – however I thought I would take on the onus of pointing out some of my favourite venues that I get to visit – these selections from my last tour. 1. Best Regional Restaurant – Whaler’s – Exmouth. Run by Paul and Liz this restaurant oozes passion for food, utilising the local seafood for which Exmouth has a cornucopia. 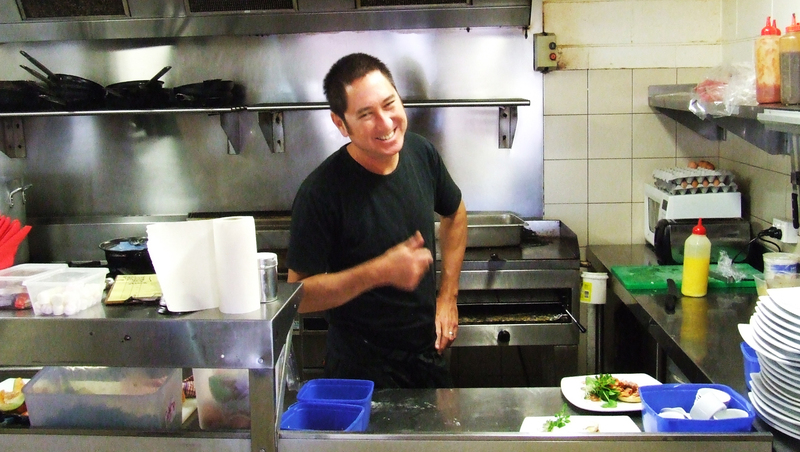 American head-chef Paul has realised his dream of owning and running his own restaurant, providing generous, exotic meals (for a small beach-side tourist community) while retaining the charm and relaxed atmosphere of the town. I tried the boulibase this time I was there and the seafood gumbo previously. Sensational, by the end of the gig I was eyeing off other delicacies such as the entrée stuffed chillies (a favourite of The Sneaky Weasel Gang – see previous blog) and the juicy comfit of duck. I’m already pushing to get back to Exmouth in August – salivating all the way. ‘The Gassy’ isn’t the prettiest pub to look at – it’s got a dartboard, couple of pool tables, a stage in the corner for some Spectacle action, and a small courtyard. What makes the place special is the effort that Marie, Lauren, Andrew and the rest of the crew put into the place. You can feel that it’s family venture and these guys strive to make people feel welcome and to squeeze the most out of their hotel. They book music for Friday nights which is a huge bonus for the town that may otherwise get little entertainment. Most importantly, however, they do fantastic honest meals. Think of pub food but a step up. It’s reasonably priced – heck similar to other pubs you might have dinner while watching the footy – but goes that extra step in satisfying. I have had the seafood platter here twice, somehow managed to guts it down both times despite the mindblowing array of fruits of the ocean. Enormous, tasty Carnarvon prawns – unbeatable – keep up the good work gang. Although I’ve only played 2 gigs here and eaten only once, I’m already excited about upcoming gastronomical experiences here in August, November, December and onwards. 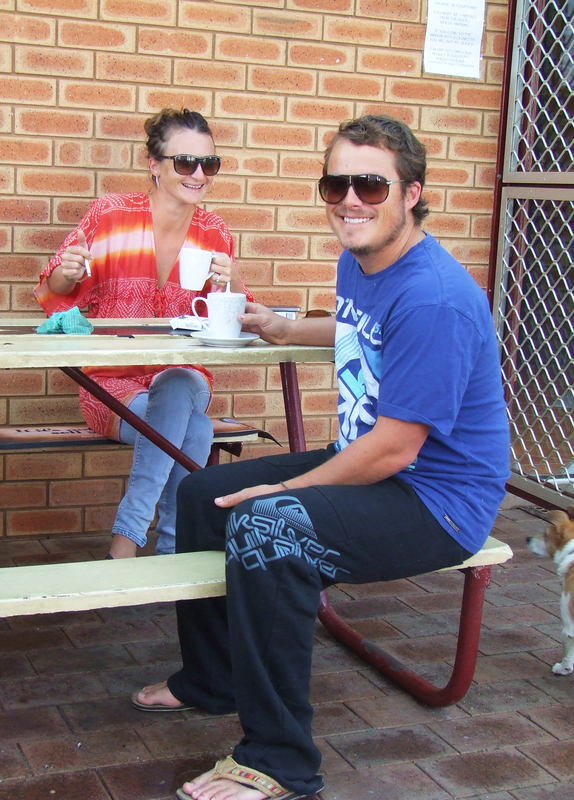 The newest entry to the Geraldton scene, L’attitude 28 is situated in a slightly posh northern part of town. The restaurant/pub is handsome, colourful, funky and fresh with glimpses of the ocean and perfect for a Sunday session. This is where I come in – a large inviting stage to play to the portion of the public who demand a little more from their entertainment. unlike a lot of venues I play for, Clare the booking agent wants quality acts to come to town and will certainly attract them with the great venue, fun relaxed audiences – and of course the food. OK so I have only eaten here once and I was pretty famished at the time – but a fat pork pie with a hint of spice, some mash and beans = happy days. So, come on WA, impress me. I’ll keep you informed of the goings on in different venues as I travel and where you should go if you find yourself stranded in a place like Port Hedland or Kalbarri. I’ve had great experiences at so many different hotels, pubs and restaurants and look forward to visiting some old standards in the coming weeks. Will see if I can get some of the other musos I know to weigh in with their favs. So stay tuned for all the goss of a travelling muso in this big ol’ landmass of WA.